Pinterest is a visual search engine and it’s becoming ever more sophisticated. If you want to drive traffic to your blog, you need to optimize your pins to get clicks. Recent changes to Pinterest mean that your pin’s appearance is even more important than before. Pinterest Lens is getting more sophisticated at recognizing and categorizing images, visually. Yes, Pinterest can “see” your images. We don’t know if this is something that is going to be a permanent change right now, but it’s an interesting new direction. 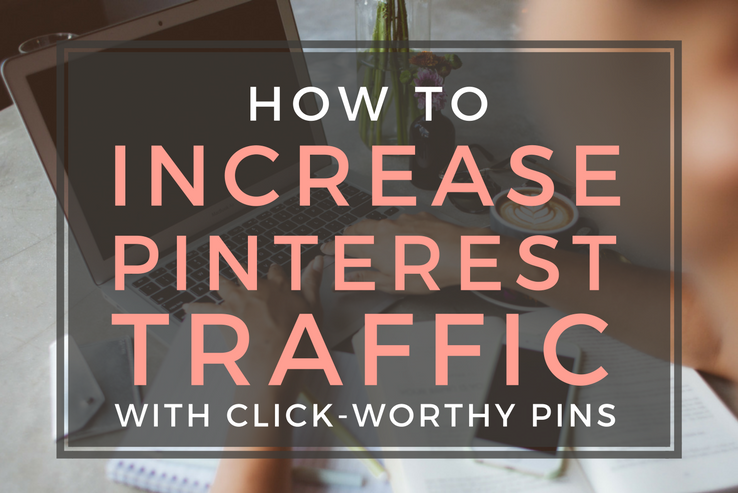 So, what does this mean for bloggers and business owners who rely on Pinterest for their traffic? 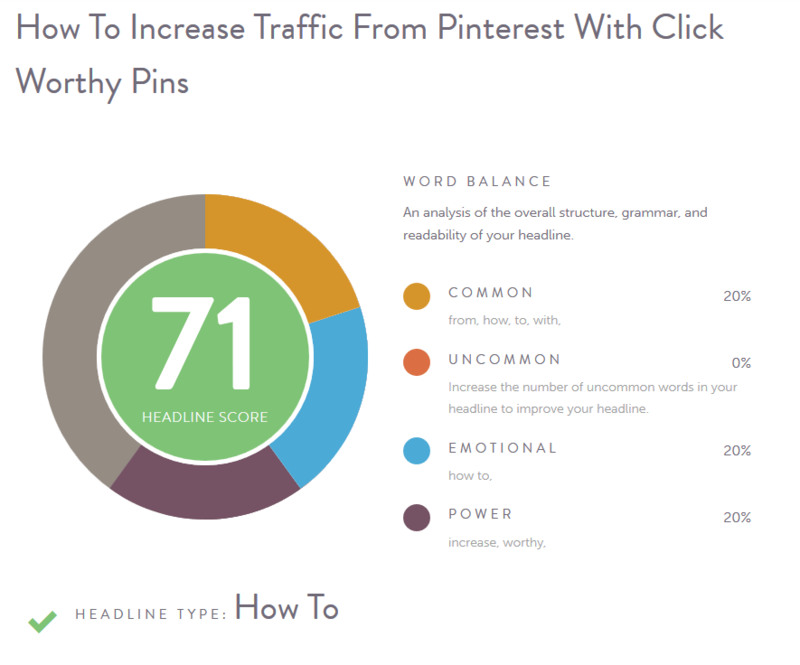 Optimizing your pins starts with your pin graphic. Your headline and pin descriptions. What does an image-only feed mean for the average Pinterest user and the experience of using Pinterest? Whatever is on the pin graphic is all your audience will see unless they click to enlarge your pin. Your pin graphic must give them enough information and be enticing enough that they want to click it. Pinterest is used in so many different ways – to bookmark images, products, quotes, and blog posts. If you don’t include your headline, Pinterest users won’t know there’s a blog post behind your pin. Food or recipes – Pinterest users can’t tell what’s in your food from the finished product. Is your photography so good it’ll tempt them to click on it, even when they’re in a hurry and looking for easy chicken breast recipes because that’s all they have in the fridge? They won’t spend the time when they can easily click on another pin that says what it is right on the image. DIY and Projects – If you pin a picture of the finished product, your audience isn’t going to know whether your picture is a product for sale or a project they can do themselves. Tall images do better than square or wide images because of the way Pinterest resizes images in the feed. But, how tall is too tall? Pinterest has made some changes to image sizes recently; however, currently the ideal image size is between 736px x 1,104px to 736px x 1,840px. Multiple dominant colors, rather than one dominant color. Medium lightness. Very dark or very light images aren’t repinned as often. Images that are 50% saturated do better than desaturated (black and white) or highly saturated. Red, brown, and orange images get roughly twice as many repins as blue images. Infographics tend to get a lot of repins. This is because they’re a valuable type of pin for your audience – they include a lot of helpful information right there on the pin. But, they aren’t good at getting clicks back to your site for the same reason – all the information is right on the pin! That’s not to say you should never create infographics, on the contrary. Creating infographics can be good for the health of your Pinterest account. Pinterest judges your quality as a pinner and if one of your pins gets thousands of repins it helps them see you as a quality pinner. If your audience has an image-only feed, the only chance they have to read what your pin is about is on your graphic. You must make it count, which means making sure your text is readable, both in size and in font. Many Pinterest users browse on their smart phones or tablets. Your text needs to be large enough to read on a smart phone without needing the pin to be expanded to full-size. Your font needs to be legible. There are many beautiful script fonts out there. But, if it your audience is going to struggle to read it on the fly, you’re better off choosing a plain serif or sans serif font. If your main message isn’t clear, you’re going to miss out on traffic. Your headline is what generates curiosity, piques your readers’ interest, and gets them to click through to your site to read your blog. Brainstorming multiple headlines for each piece you write is a great way to get your ideas flowing. The more often you do this, the easier it’ll become. Once you’ve got a few headlines in mind, use a headline analyzing tool like the CoSchedule Headline Analyzer to check for quality. Just pop in your chosen headline and CoSchedule will give you a rating and suggestions for how to improve your headline. Although your audience may not see your pin description immediately, that’s no reason to ignore it. Your pin description is the place to use keywords so that Pinterest has an idea of what to classify your pin. You pin description is where you can write a keyworded description explaining what your article is about and including a call to action. Ask a question, and let them know the answer is in your article. Include keywords in your description. Note it doesn’t have to be in sentences, you can simply add them to the end like this: “| blogging tips | social media |”. What kind of photos should you use in your Pinterest graphics? Should you take your own photos? Or is it ok to use stock photos? The most important factor is image quality. Your photos must be high-resolution, bright, quality photographs. Taking your own photos, if you can, is a great idea to introduce uniqueness to your account. One of Pinterest’s other new features is showing an image credit at the bottom of some pins. This happens when Pinterest recognizes an image as a stock photo. There’s also the new “lens” feature for mobile searching. 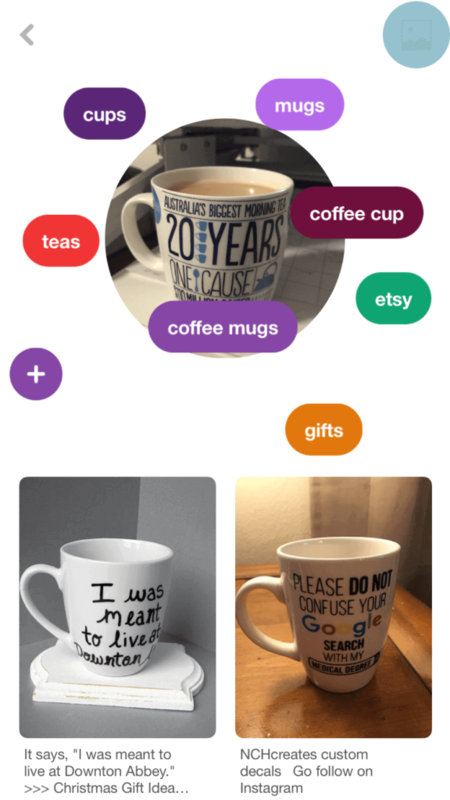 You can search by snapping a photo of any item in your surrounds (or even yourself! Give it a go!) Pinterest then returns search results it thinks are related. It’s an interesting way to search! It’s possible this will impact on your pin results if Pinterest begins to classify your pins based on your image rather than using your headline or pin description. Faces vs. No Faces – What’s the Verdict? It’s better to avoid using faces in your images for Pinterest. Generally, images without faces get 23% more repins than those with faces. This doesn’t mean that pins with faces will fail. For some niches, it isn’t possible to avoid faces. Test variations of your pins and see how they do. Ultimately, it’s your unique audience that you need to impress with your pins. If you aren’t getting the results you want from Pinterest, take a long, hard look at your pins. Are they up to snuff? Pinterest is making sweeping changes to their platform and these changes have an effect on what kinds of pins rise to the top. Visibility in the feed is the first key to getting those clicks back to your website. Secondly, you need a compelling headline and a description that hooks your audience and entices them to visit your post and learn more. Finally, are your images relevant to your topic? Pinterest can “see” them and may be categorizing them differently than you’d like. Over to you – how are your pins performing on Pinterest? THX. Does it works foe every country?! Thanks Catherine for sharing these specific advice. Indeed there are several bloggers who state that Pinterest is their main traffic source. One month ago I did what you recommend in your post, with high quality images through Canva, correct image dimensions and also using a pin looper. Unfortunately I still get no traffic from Pinterest even though I have 1.500 followers. Perhaps I need many more followers to get me somewhere or start posting to the most popular Pinterest groups? Thanks for reaching out. I would highly recommend posting to Pinterest groups and creating multiple boards with different topics that pertain to your audience. For instance, you can create a photography or inspirational quotes board. Analyze your demographic and figure out some broader interest of the group and tap into these as additional methods of reaching your target audience. Plus, keep at it 🙂 You will see a huge difference if you keep going. Many thanks for taking time to give me some direction. Every little bit helps.